Fabulous Flame Percher piece comes covered in rich Satin Fabric, carefully embellished with Lace overlay, toped off by elegant gold twisted quill. Available on Wire hairband or elastic also comes with hidden comb attached . Perfect for standing out at Race-meeting or wedding. 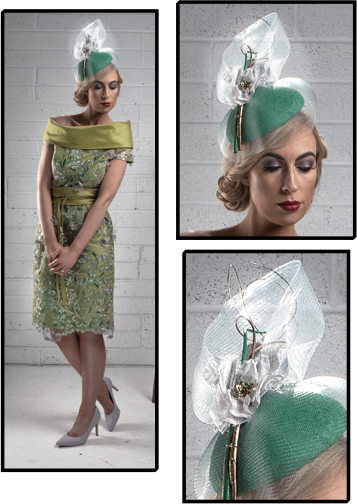 Bespoke option available with this Hat as it can be reproduced in different colours or using different fabrics, appliqués, lace or embellishments & each piece is handcrafted in home studio in Co Offaly. Delivery available Nationwide in Ireland, for European/Non European delivery please email for further details.